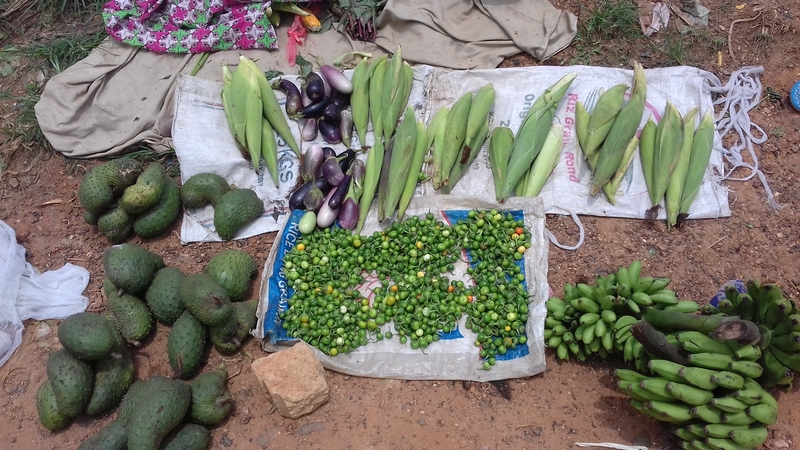 Here in Liberia, grocery shopping is not as easy as jumping in the car and heading to the Kroger around the corner! Unless you’re in a big city with a supermarket, buying food and other things takes a little more work! I’m fortunate to live in a big enough community that I am able to buy most of my food and necessities throughout the week. My landlord, who lives in the house right in front of mine, has a pretty good-sized shop, mostly of dry goods like rice, beans, onions, spaghetti, tomato paste – enough that I knew from day one that I at least wouldn’t starve here! And in the first few months, I slowly figured out where to buy other foods – there’s a shop near the school that sells bread, a house on my walk home that sells “cold sausage” (frozen hotdogs bought from nearby towns earlier that day) and a house across from mine that often has eggs (though for a few months there was an egg shortage in the country and they were very hard to find!). So if I plan my day right, I can pick up everything I need to make my dinner on my way home from school. I also keep an eye out as I walk around town for other things like plantains, cassava or African potatoes and whatever fruits are in season – these are most often found in small amounts outside anyone’s house; people will sell the small amount from their own gardens that’s left after feeding their own families. And then on Tuesday, we have Market Day! 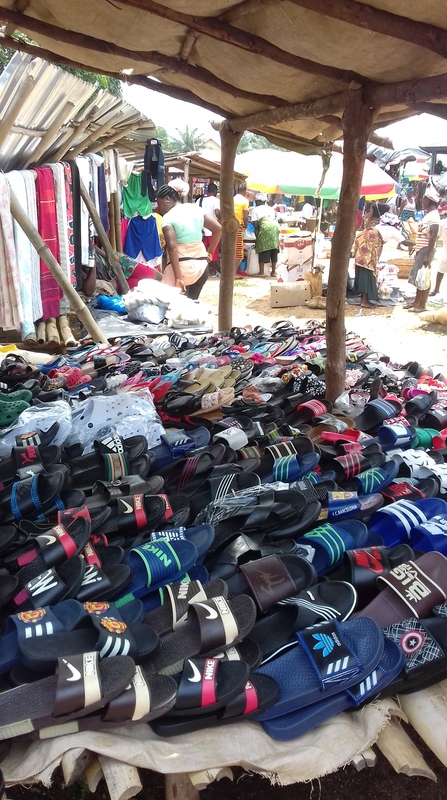 Once a week, people come from miles around to buy and sell in our town’s market. So every week, I’ll keep a list of things I want to make sure to pick up on the next Tuesday. 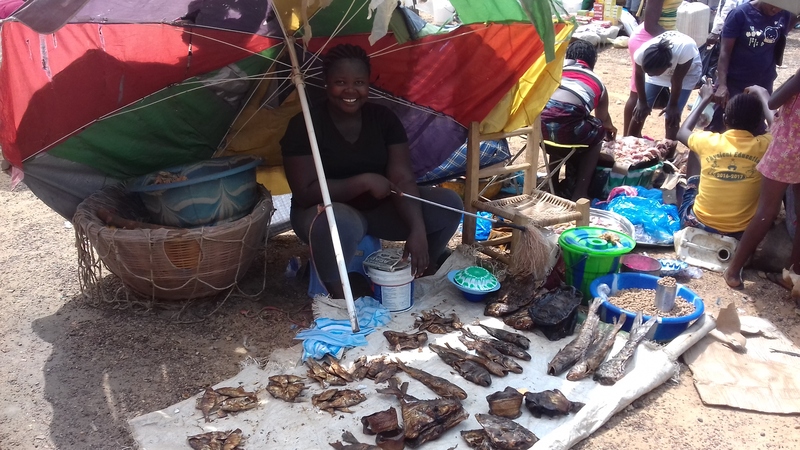 Throughout the rest of the week, the market sits almost completely empty, with the exception of a few local market women selling a few various foods. But on Tuesday the place is packed! You can find the same foods that are there throughout the week, but also a lot more: there’s a whole aisle of “wheelbarrow shopping” – clothes in wheel barrows or piles, most of which was sent over from the states or Europe, that you can sort through to find what you need. There’s another area with people selling produce – whatever seasonal fruits and vegetables they’ve grown (though you have to get there early for the good stuff – I often miss out because I teach in the morning and don’t get to the market until the afternoon). 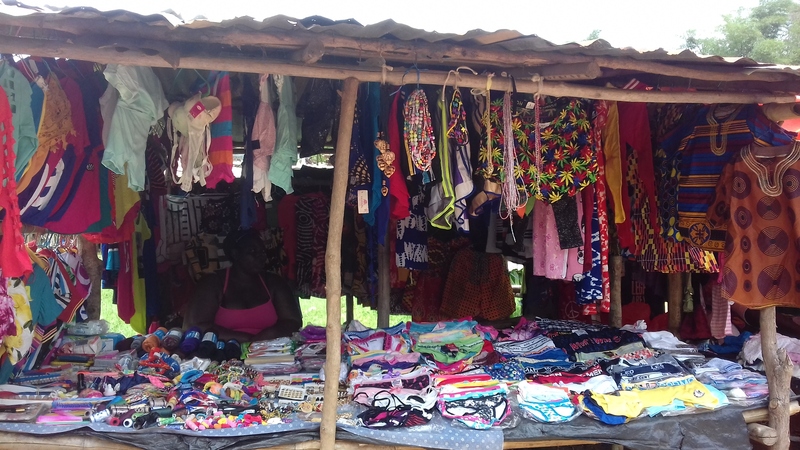 You’ll find people selling lappa fabric or pre-made clothes, sandals and slippers (Liberian English for flipflops), packaged cookies and snacks, soap and hair products, small electronics and more. 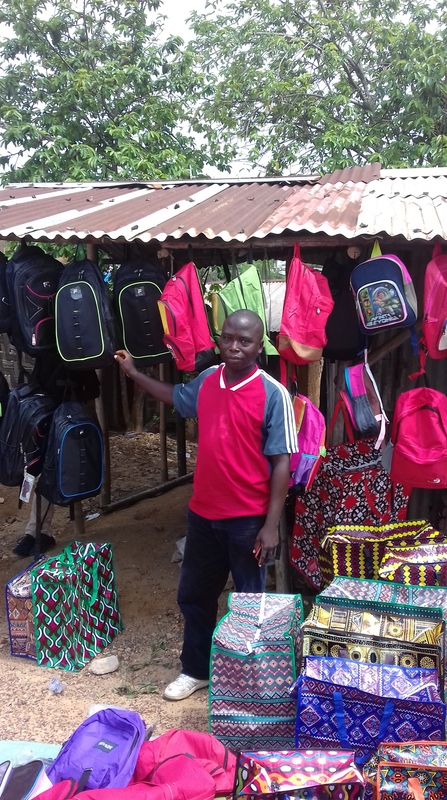 I’ve made friends with a man named Boikai (who’s name I can remember because it sounds to me like “Buckeye”) who comes to my town every week from Kakata to sell bags – backpacks and the colorful plastic “Ghana-must-go” bags. In addition to the different stalls set up, there are plenty of people walking around selling food! I always look for plantain chips or popcorn, freshly made shortbread or donuts, and find the woman who sells fried plantains and sometimes fried chicken legs! 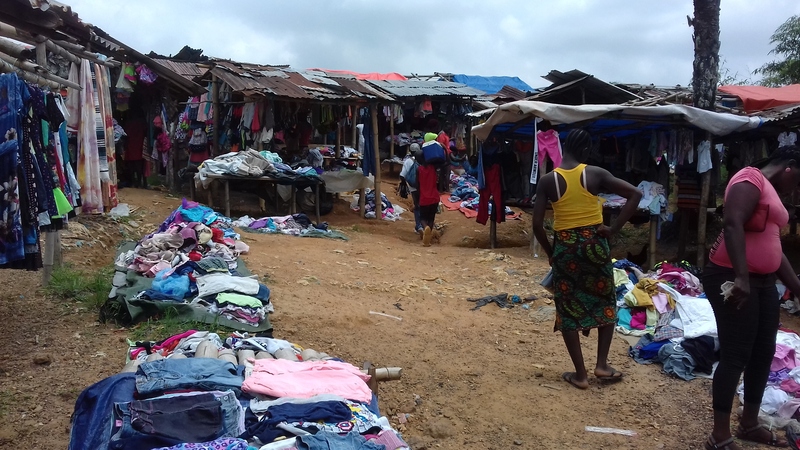 You can also find people selling more traditional meals of soup and rice or Liberian spaghetti. Even on weeks that I don’t really have a list of things to buy, I always try to go take a walk around the market, see if there are any surprises to be found and say hello to my friends who are selling! 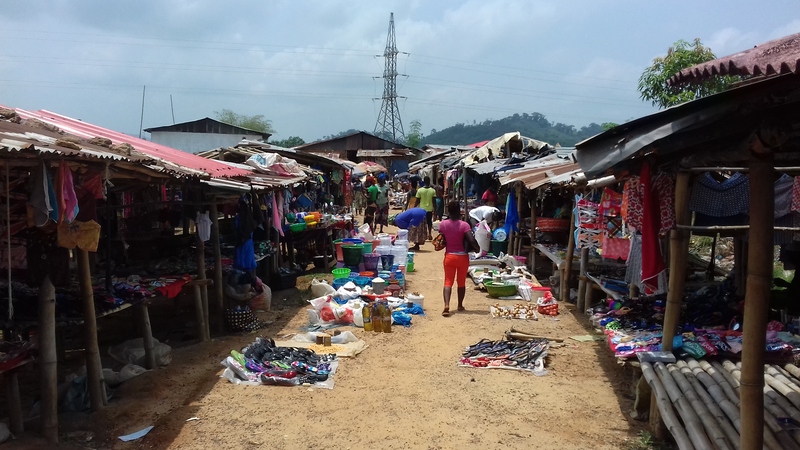 This entry was posted in Africa, Liberia, Peace Corps and tagged Africa, Liberia, life in Liberia, market day, Peace Corps, Peace Corps Liberia. Bookmark the permalink. 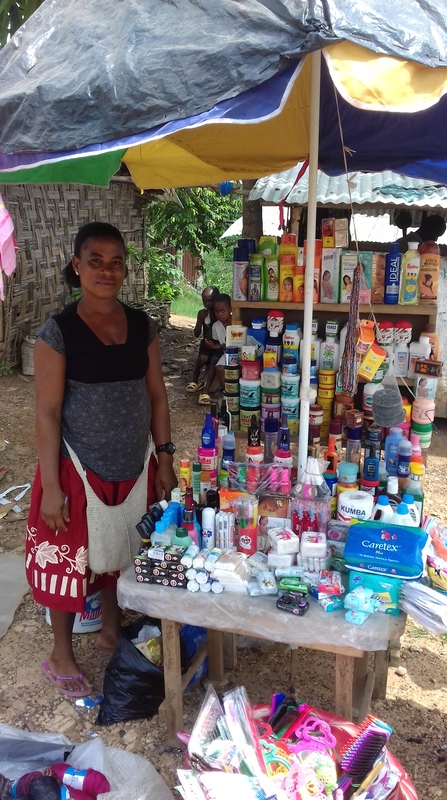 2 Responses to ​Life in Liberia: Market Day! Actually here in Asia we call flip flops slippers too.